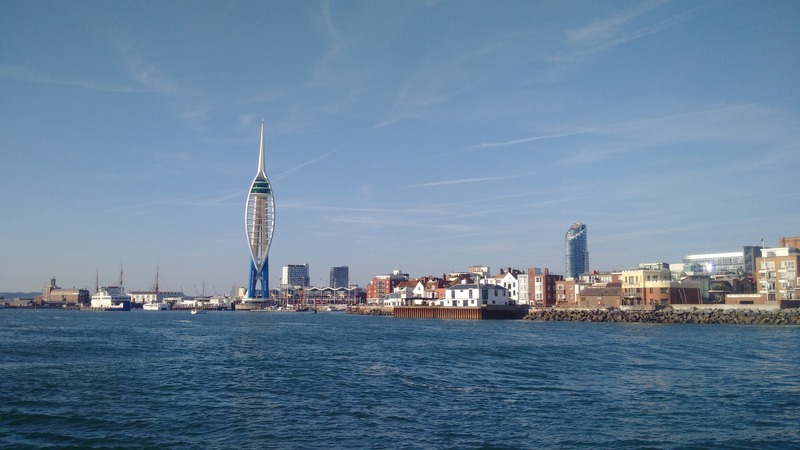 It was really calm for the entire trip and the ‘fun’ was the very strong tides we experienced in entering Portsmouth Harbour at the end of the passage where the water in the small craft route was ‘boiling’ at one point and quite spectacular. 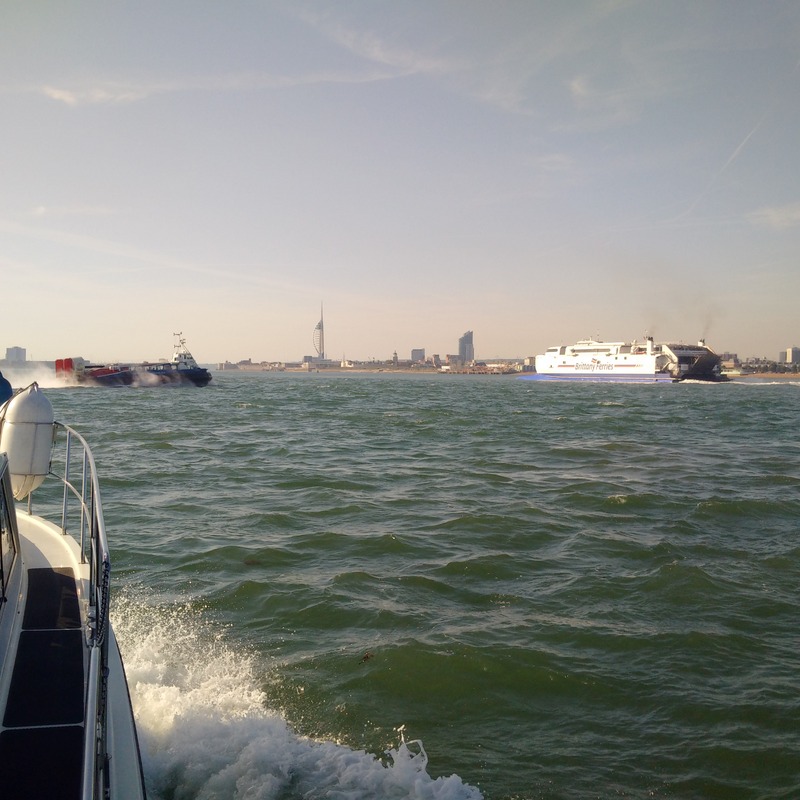 It was the antics of other boats that were to add to the entertainment and I thought, 'Welcome to the Solent'! I had not wanted to cruise for the second day running but the weather was very much better today than for days to come and so it was inevitable. there was also predicted to be more calm weather at the weekend by which time it would be good to be in position to cross the channel to France. Both last night and now this morning I had to write up my navigational notes and plan the next passage which was necessary to make a good trip today and I was able to do all that before we left. However, I was disappointed at not being able to have a better look around Brighton before we had to leave. Although the breeze was slightly stronger than our trip to Brighton yesterday, its effect was less as it was following from the East for the most part and that was with tide as well, doubly reducing the sea state. The small gap 3nm off of Selsey Bill was quite benign with our following knot of so of current in tune with the breeze; a timing that attracted Itchen Marine Tug, ‘Wyforce’ and sailing vessels Amasue and Lobster III which came through the gap in the Boulder Bank at the same time as us. Sailing vessel Egret was fussing over the space and worrying that Wyforce was on a collision course but the tug was towing a huge jacking platform and must have been considered to be ‘not able to manoeuvre' and was the stand-on vessel anyway and so if I was Egret I would have altered course to starboard passed aft and let it go. 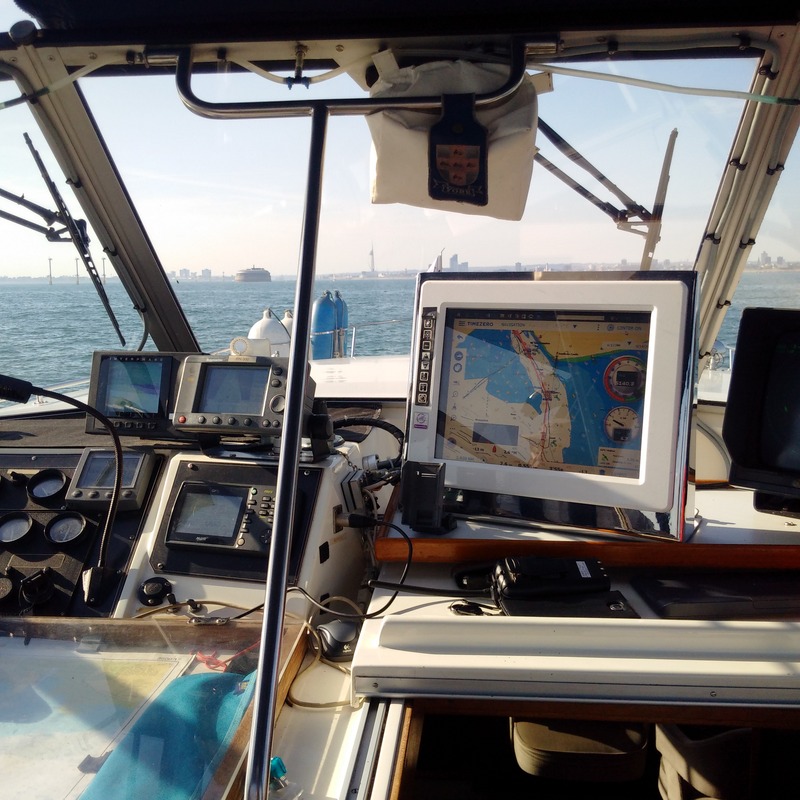 Upon entering Portsmouth harbour, I got permission from the QHM to cross from Ballast to Gunwharf Quay on VHF 11 but then found another motor boat in our allocated mooring position which I had reserved by calling the harbour office this morning. Worse still, he was not tight against the other vessel and was refusing to move either back or forward 'as he had just had his shower' meaning that between us we would take up three mooring spots to prevent any other boat mooring that might want to during the evening. He changed his story several times and I was not sure he had permission to moor there anyway and was both unhelpful and misleading me to support his intractability. Kathleen and I hosed down Lady Martina which should have been our first priority but by now Kathleen had started cooking the dinner!